Martech is the blending of marketing and technology, with the aim of streamlining processes to achieve marketing goals and objectives. In this digital age, there is a huge demand for marketing technology to provide marketers with the tools they need to succeed. In 2016 the number of MarTech vendors grew to 3,874 up from 2,000 in 2015 according to chiefmartech.com, and the number of MarTech deals rose from 256 ($5.7bn) in 2015 to 291 ($8.96bn) in 2016 according to financial advisory firm Results International. We reached out to some of the top influencers on our list to ask them for their views on MarTech. We spoke to Scott Brinker (#1), Stewart Rogers (#7), Sam Hurley (#8), Matt McGee (#10), Tim Hughes (#12), Tamara McCleary (#14) and Piyush Charkha (#15). Be sure to follow them to stay up to date on the best content and resources on MarTech! “The intersection of marketing and technology disciplines is one of the most fascinating professional mash-ups of this decade. Technologists are incorporating more “marketing” thinking into their work through growth hacking and user-centered design. Marketers are integrating more technology thinking into their work, embracing data-driven decision-making and software-enabled capability development. The number of martech ventures that are innovating new ways to connect brands and audiences in a digital world is measured in the thousands. It’s an amazing field, combining the strengths of engineers, storytellers, artists, and data scientists to forge the future of customer experience. AI & Chatbots: It’s the future. Scary yet exciting, there’s no escaping where we are headed so marketers must embrace it to keep up. Bigger brands are already doing so. The power of such technology is not only useful for conversational UI and predictive analytics, but also for taking payments as a human would; which has the potential to relieve strain and transform traditional customer service teams. Marketers must focus on conversation this year more than ever…the rise of voice search aligns with this trend and is certainly not something to be ignored. Programmatic Ads: PPC manager? That could be a job title of the past, soon enough. 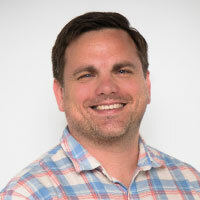 At the moment, the available automated ad tech is not widely understood or adopted, purely because of its enterprise-level perception and high price ranges that are typically out of reach for smaller businesses. But — give it a few years and I believe we’ll be seeing a huge shift in the media advertising space. 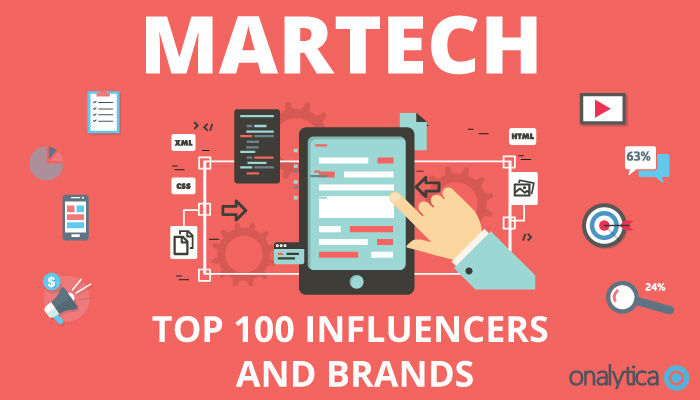 As MarTech is such a huge growth area with plenty of opportunities for brands to help others improve their marketing efforts and drive efficiency through technology, we were very interested in seeing which social influencers and brands were leading the MarTech discussion. In order to identify these social influencers and brands we first looked at the MarTech conversation, and as Twitter remains the best platform for it’s open data policies we started by extracting over 84K tweets tweets from 16th September – 15th November 2016 mentioning the key words: “MarTech OR “Marketing Technology” OR marketingtechnology OR MarketingTech OR “Marketing Tech”. We then added these tweets and accounts into our database, categorized and curated by hand a top 100 list of influencers and brands ranked on a combination of the 4 R’s (Resonance, Relevance, Reach and Reference). These accounts were then added into our Influencer Relationship Management software (IRM). Below you can see a network map of the conversations with the number one influencer Scott Brinker at the centre. Be sure to click on the map to enjoy the full size network diagram in greater detail. Below you can see another network map created with in IRM showing the number 1 brand Ad Age at the centre. If you are interested in learning more about identifying, managing and engaging with influencers click here to get in touch! The most popular topic mentioned in tweets and blogs by the top MarTech influencers was Social Media with a 24% share of voice, illustrating how import social media is in the context of MarTech. Content Marketing was the 2nd most popular topic, receiving 18% of all mentions among the top MarTech influencers and brands. The next most popular topic was Tips with an 11% share of voice, which is most likely related to content marketing and those ever so popular 5 tips posts! 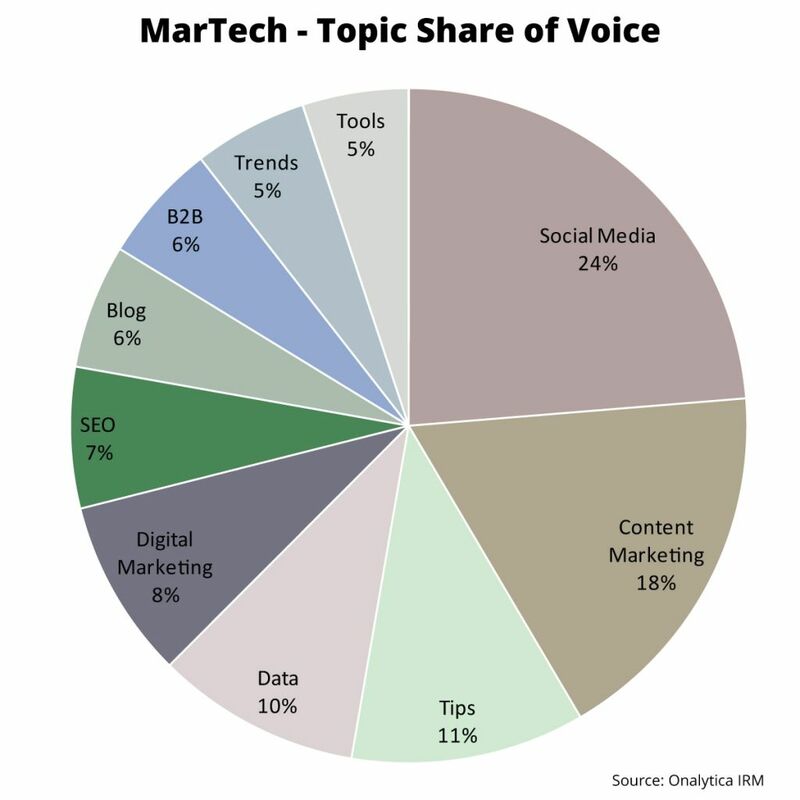 Data received a 10% share of voice showing the importance of how platforms deal with data in the context of MarTech. Digital Marketing received an 8% share of all mentions, followed by SEO with 7%. Blog and B2B both received a 6% share of voice, followed finally by Trends and Tools which both received a 5% share of mentions among the top 100 MarTech influencers and brands. 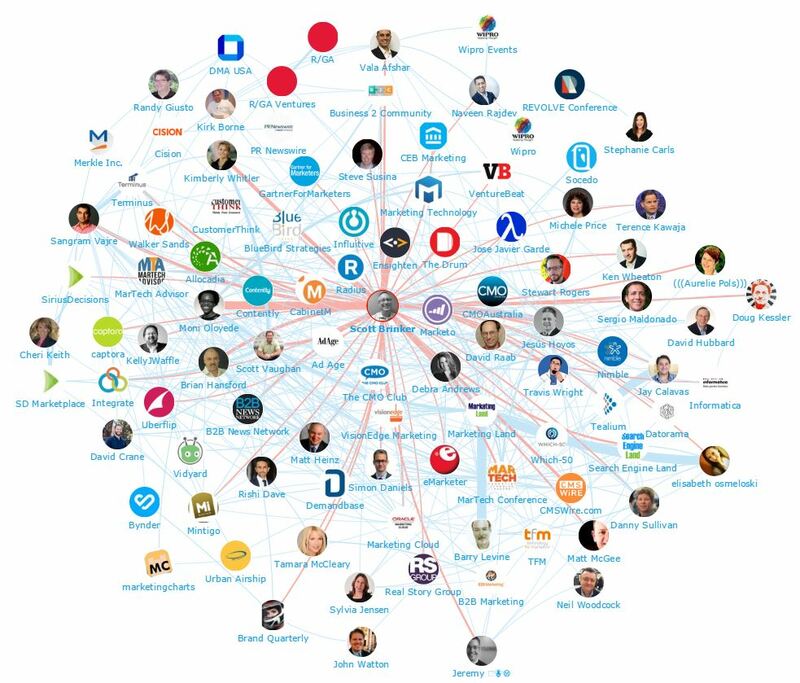 Below is a list of the top 50 influencers talking about MarTech on Twitter. If you want to see who ranks from 50-100 be sure to download the full report by clicking the download button below! 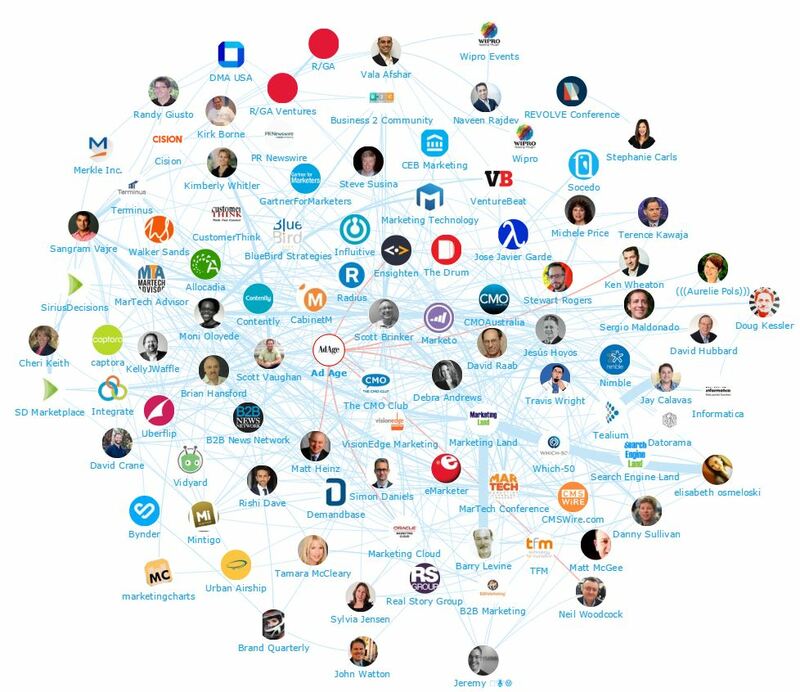 Here is a list of the top 50 brands talking about MarTech on Twitter. If you want to see who ranks from 50-100 be sure to download the report to get the full top 100 list! Disclaimer: As ever with these lists, it must be stressed that the ranking is by no means a definitive measurement of influence, as there is no such thing. The brands and individuals listed are undoubtedly influential when it comes to driving discussion around MarTech.